The sunny blue skies turned to windy weather just minutes before the start of Vanessa and Ben's most beautiful wedding. The guests and family scurried inside the chapel at Still Water Hollow, and the wedding party followed. And with a soft breeze, the doors opened and there before us, stood the stunning bride, Vanessa and the arm of her father Roger. The ceremony included a few tears of happiness and pure love between the couple. After the winds subsided, the party started and a great evening was had by all. Love and blessings to Vanessa and Ben! Bob and Karen wanted to always remember Memorial Day, 2014....so they jumped on a plane from Southern California with their daughters and were joined in marriage surrounded by their loved ones Freda, Jeri and Peter. 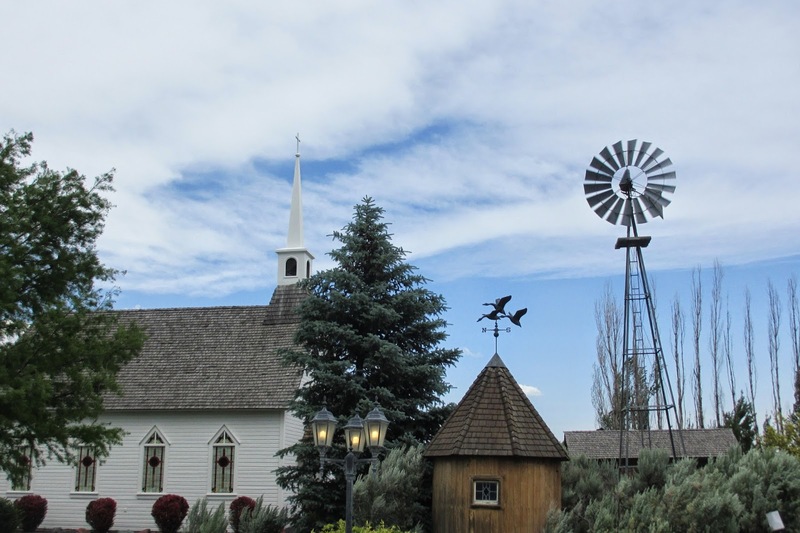 They were married at the home of Jeri and Peter and it was a beautiful setting perfect for a special couple, with the foothills of Boise in the background. 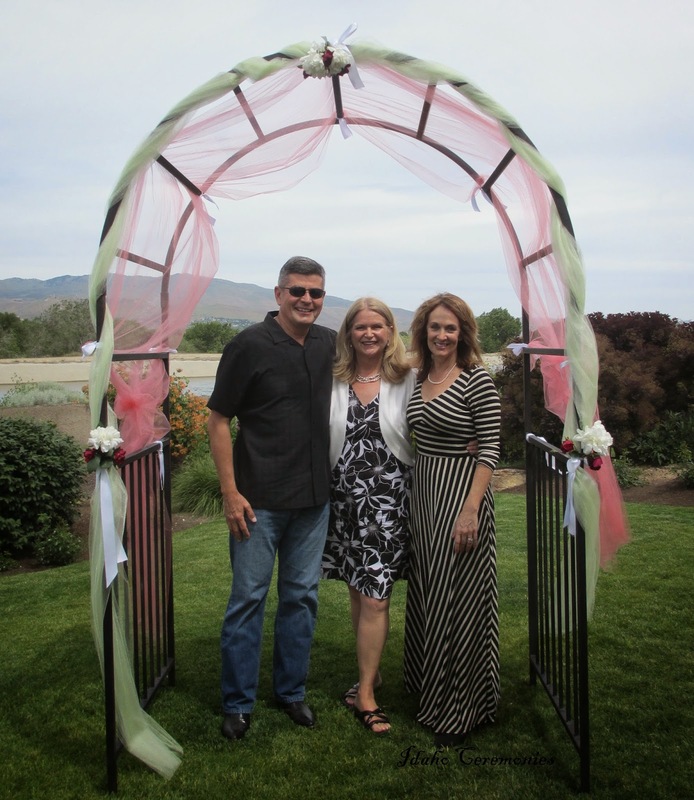 It was truly a pleasure meeting Karen and Bob, and a joy to officiate their beloved wedding ceremony. I hope to see them if their travels bring them to Boise again! Jeri and Peter Signing the Marriage License! Ashley Jacobsen and Richard Stockton were married before their family and friends at the Red Lion Canyon Springs Hotel in Twin Falls on a gorgeous Saturday evening. Love and best wishes for a wonderful life together! Rebekah Esquivel and Conner Fry called me the day they wanted to get married, and within an hour, we met at Julia Davis Park and sealed their wedding vows. Rebekah and Conner arrived from Oregon with her parents for ceremony. Conner picked out the perfect tree where he wanted to marry Rebekah. Congratulations and much happiness to this couple! 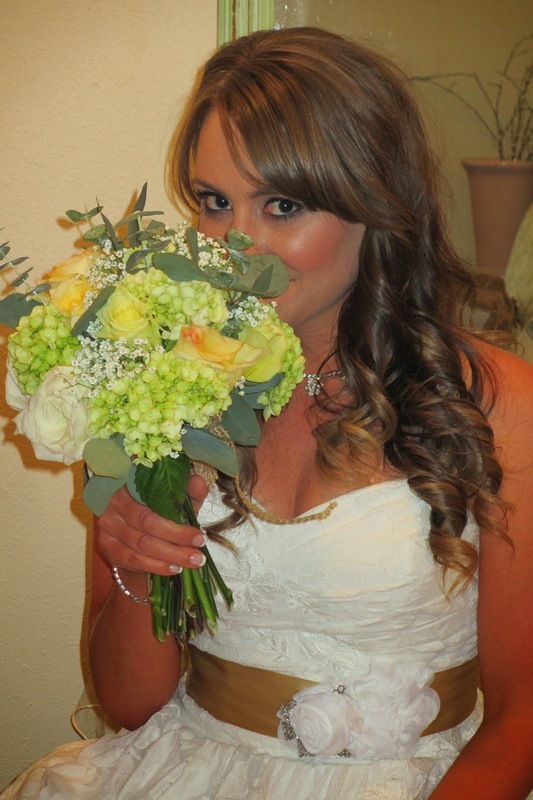 Today's special couple, Amy and Taylor, were married at the Linen Building in downtown Boise. It was the most perfect ceremony, and I wish them the best as their love flourishes in the years to come. Guest "Book" ~ So Clever! Wave Your Wands With Joy and Laughter, To Wish Amy and Taylor a Happily Ever After! 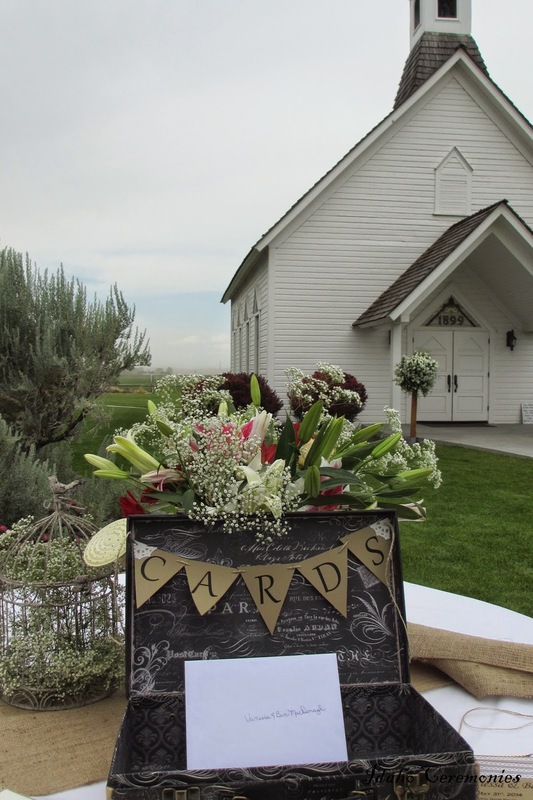 Charli and James held a ceremony to vow their love and commitment to each other for all time before a small gathering of friends and family in Carl Miller Park. Wishing you both a lifetime of love, respect, trust and understanding. Andrea and Bill's love story began more than 30 years ago at the St. Louis Zoo. They worked together, feeding and tending to the zoo animals, and were fast friends. They laughed together and worked together so many moons ago. Fast forward to 2012 when their paths crossed again, and they realized their love for each other was still simmering. The spark was alive and well, and they are now Mr. and Mrs.! May sunny days and fun filled journeys be with you forever Andrea and Bill! Carrot Cake gifted to them by a friend. Bride and Groom cake topper belonged to Bill's grandparents.